The book has two distinct halves, but both are dripping with so much cheese they’re practically a raclette. The first consists of something that isn’t really a story, but a series of sketches depicting the perplexed yet enthusiastic characters trying to figure out how to create their show. They’re rather out of practice, what with being dead for some time. Cracks of thunder warn them of poor creative choices – if they fail or stop the show they’ll never perform again – but moments that are approved by their unseen higher power aren’t any more creatively brilliant.He/she/them don’t seem to quite know what makes a quality variety show. The second half is meant to be the Plaids actual show, but this isn’t really followed through. The hapless chaps are a bit more polished, but there’s no great contrast. They still stop and start, and sweetly blag their way through. Though it’s clearly the crux of the narrative, there isn’t much that drives the show forward. Some moments are dated, particularly the unquestioning cultural appropriation and dodgy accents from places around the world, including Jamaica and Mexico. 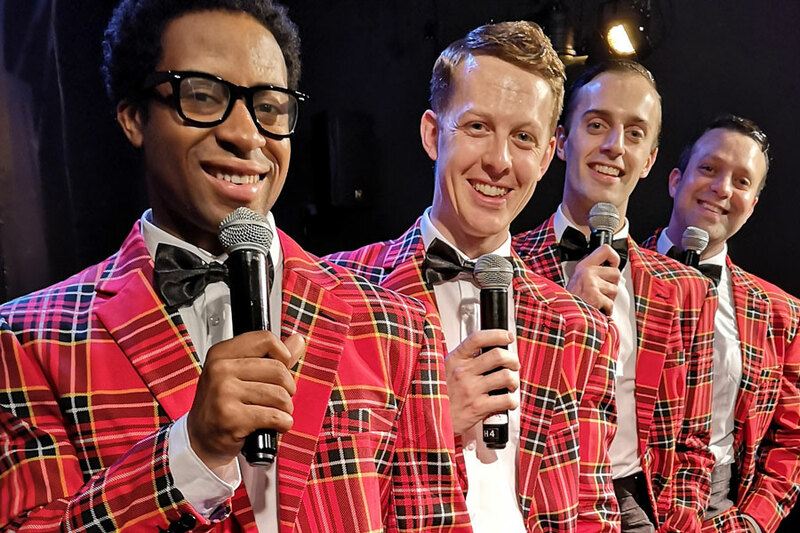 The four performers (Alex Bloomer, Joshua De Costa, Laurie Denman and Kris Mac-Joseph) boast fairly convincing American accents, albeit ones that are suitably historically heightened. They boldly flirt with the audience, though totally innocent in the way they go about it. It’s refreshing – though obviously the good ole days are ridden with toxic masculinity, it doesn’t come across here. Though there aren’t any women present and the book is totally ridiculous, the singing and the sweetness help gloss over these shortcomings. Excellently sung vintage tunes by great singers deliver plenty of camp Christmas cheer. Plaid Tidings runs through 23 December.